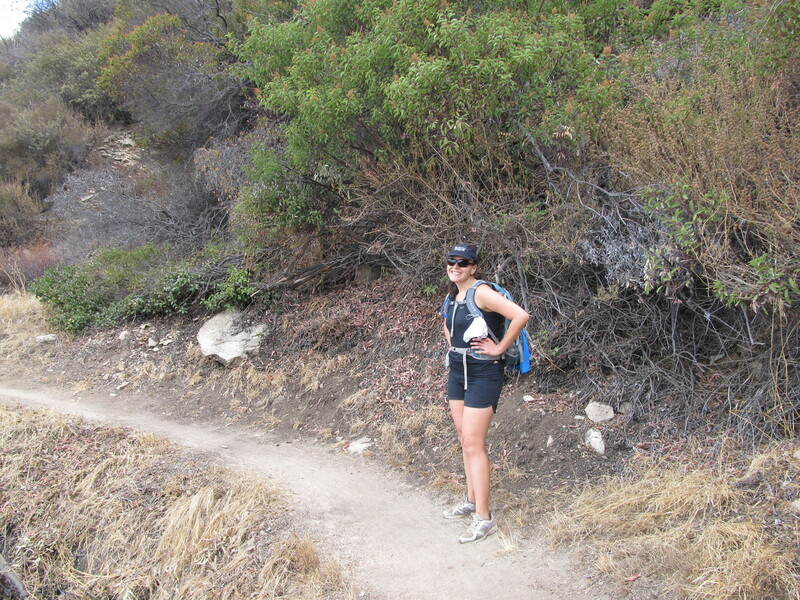 Today, I’d made plans to go hiking with my friend Karina from work. Since our office has turned into a pumpkin, we don’t have anything to do. She hikes a fair amount, but I haven’t been up in the mountains since 4th of July last year. 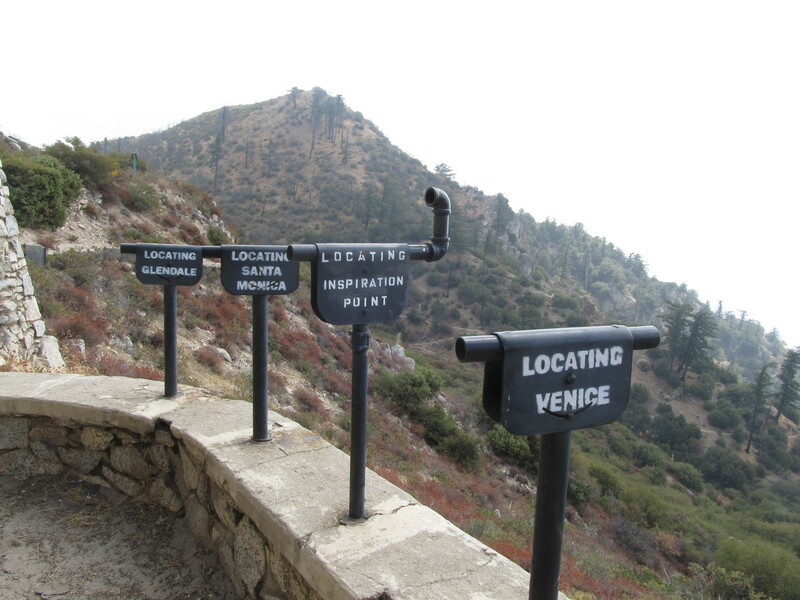 So we arranged to meet up a the trailhead a the top of Lake Ave. We figured we’d start out by going up Echo Mountain, and then just see what we had time for after that. 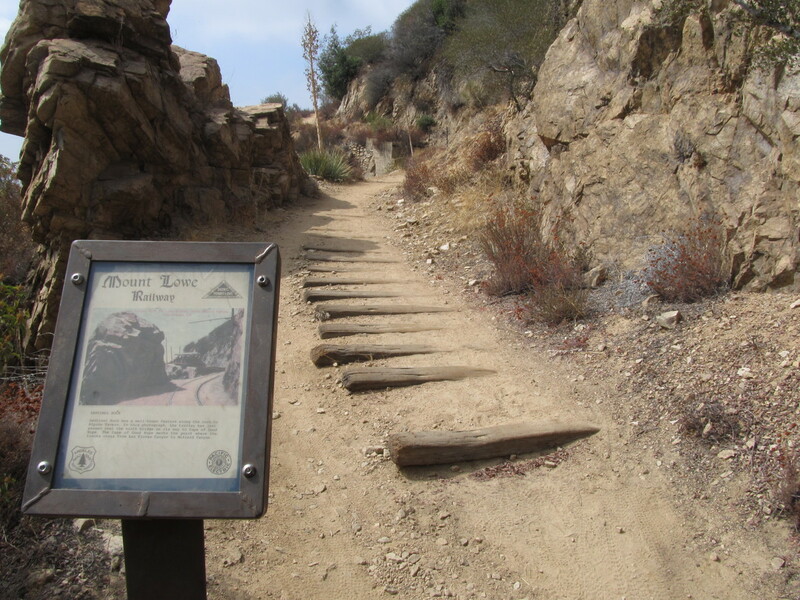 The trail up to Echo Mountain is about 2 1/2 miles, and it’s not hard. At the top, we turned left and headed up the old Mt. Lowe Railway roadbed. Most of it is still passable. The bridges have all been taken out, and there are signs along the way, indicating points of interest, and with photos showing how it looked when it was still operating. We ended up walking the entire length of the former railroad, all the way to the Mt. Lowe Trail Camp, which is at the location for the former Alpine Tavern that was at the end of the line. We stopped there for lunch, since they have some picnic tables there. 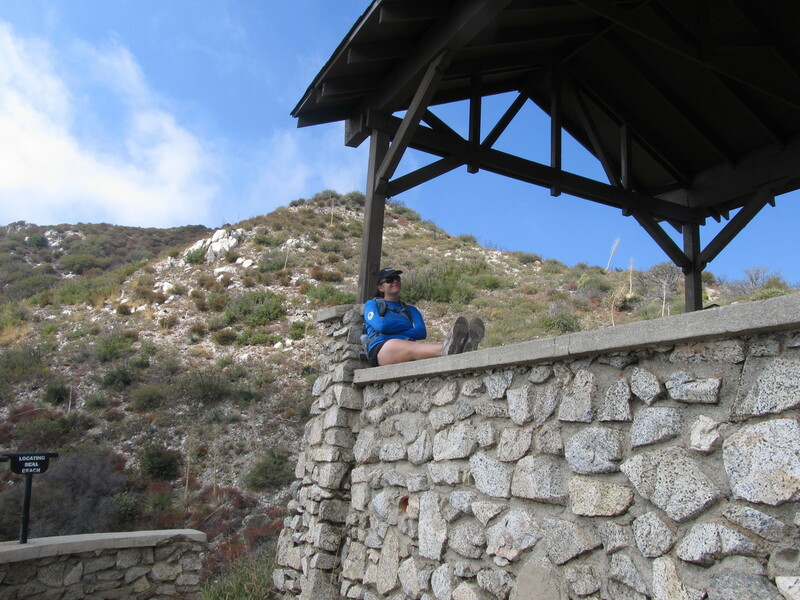 After lunch, we continued on up the trail to Inspiration Point, which is on top of the ridge behind Echo Mountain. 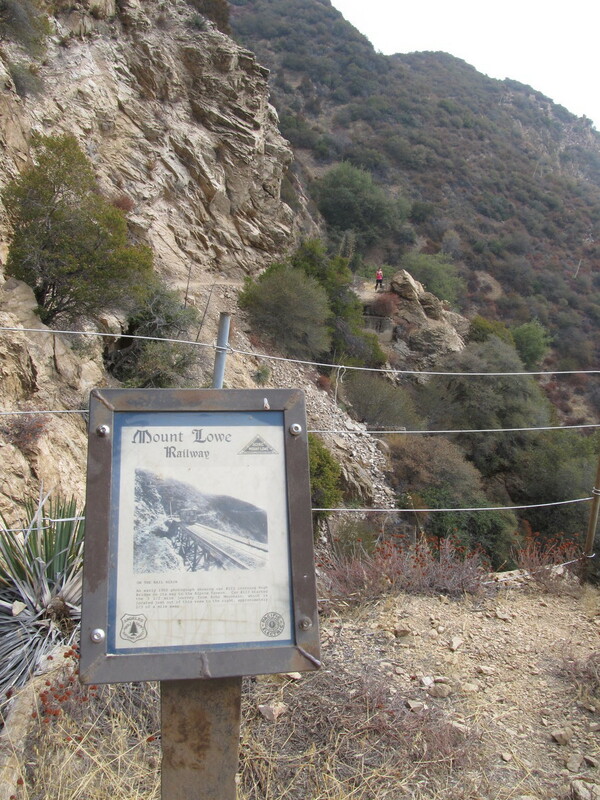 There is a little shelter built up there, along with a sign telling the story of the One Man and a Mule Railroad, which used to bring people up to Inspiration Point from the Alpine Tavern. 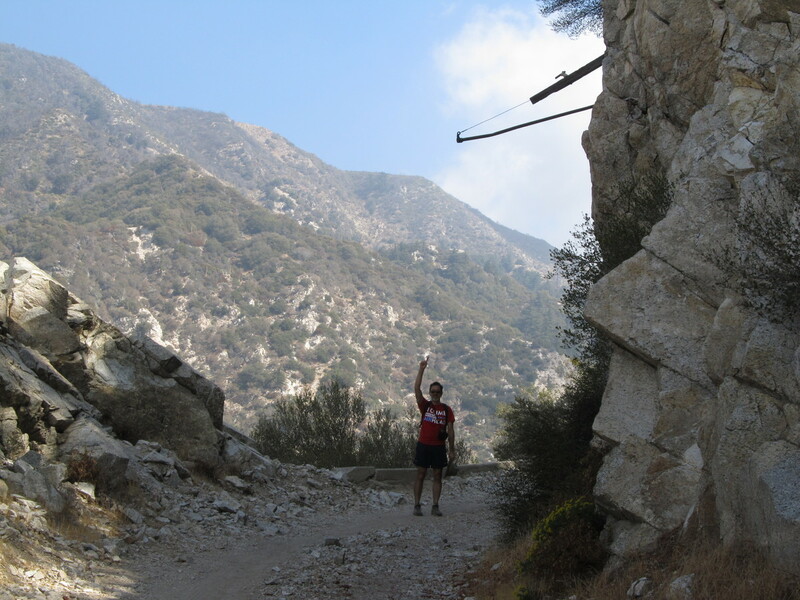 After that, we headed back by way of the Upper Sam Merrill Trail, which took us back to Echo Mountain. Then we headed back down the way we’d started. 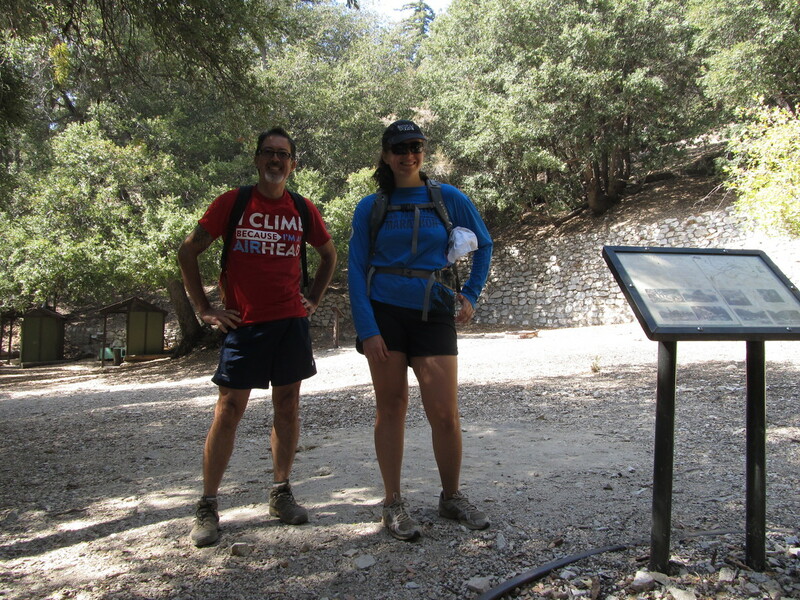 All together, it was about 12 1/2 miles, which is easily the longest hike I’ve done in many years. But it was a good time, and a good thing to do on a day when we have nothing else useful to do.